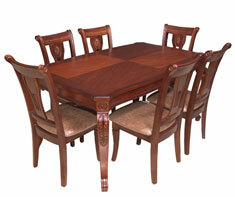 Fine Wood Furniture includes tables, chairs, couch frames, sofa frames, etc. that have polished exposed wood. If your chairs, couches, or sofas are covered either entirely or partially with fabric materials, then you should also put a checkmark for 'Furniture (upholstered)' as part of your home features in your Home Wizard app. And if your chairs, couches, or sofas are covered either entirely or partially with leather, then you should also put a checkmark for 'Furniture (leather)' as part of your home features in your Home Wizard app. Wooden furniture is a major investment, and its appearance and useful life can be extended with proper care and maintenance. Furniture (leather) and Furniture (upholstered). Shown in the 'Routine Care' section are the recommended routine maintenance tasks for your furniture (fine wood). The 'Q & A' section shows answers to common questions. And the 'Articles' section provides helpful articles about your furniture (fine wood).